The Future Of Media Broadcasting Drones Is Bright For Caught On Tape Tv! 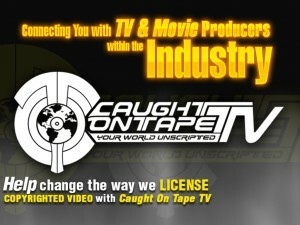 You are here: Home › Technology › The Future Of Media Broadcasting Drones Is Bright For Caught On Tape Tv! There has been some furor over drones caught flying over restricted or private properties. The most recent news involving a drone happened last May 14, 2015 when one was caught flying over the Lafayette Park, a park which is located near the White House, a “no drone zone”. Many may not be familiar with what a drone is and what it does. A drone is technically known as an unmanned aerial vehicle. It is piloted by someone on the ground or has been preprogrammed to perform a certain task. Drones were initially used by the military for surveillance purposes, other drones were used as weapons as they were loaded with missiles or bombs then programmed to hit a certain target location. Because drones are equipped with cameras and various sensors, they are considered as security and privacy threats. However, there have been talks of using drones as broadcasting medium. Instead of having a reporter ride on a helicopter to give a traffic report or news on a car chase currently happening, one can use a drone to fly over the area and send visuals which the reporter can report on while on land. Using drones to gather news data is most efficient when the area needed to be covered cannot be accessed by any means possible on land. It also decreases the possibility of causing mishaps on the reporter and his team as they chase after news worthy events or individuals. Despite the favorable use of drones as broadcasting mediums, it still has to abide by certain limits to ensure that public safety and privacy of individuals will not be put at risk. Though the plight of using drones for commercial surveillance is still under negotiation amongst lawmakers and networks, its usage for domestic surveillance has gradually been increasing. Domestic surveillance includes a landowner using a drone to survey his lands and detect problems within it without leaving his station. This practice saves the landowner time and energy as he can directly go to the affected land area instead of scouring the whole land to check for problems. Using drones is most beneficial when the land to be surveyed is located on a very steep area of a mountain and reaching it is very difficult for any man. Some drones are created to do a certain tasks in areas inaccessible by people; thus, saving time, money, and effort. Another advantageous use of a drone is in a search and rescue operation. The drone can pinpoint the exact location of the body making it easier for the rescuers to conduct their operation and save the individual. An example of this happened in Canada last May 2013. Drones are also used to check for speed, velocity, and other data needed to detect the ferocity of a hurricane. These drones are sent in the midst of the hurricane to gather pertinent information without risking life or limb of any individual. Though security and privacy threat still linger, the responsible usage of drones as well as the proper observance of the limits set for its usage will eventually maximize the advantages and minimize the disadvantages of using drones. In this technological time, the usage of drones will eventually become a necessity in living our everyday lives. Just like smart phones, responsible use of drones will benefit us in the long run; not only for quick access of information for decision making, but also in the performance of activities that we have found impossible to do before.